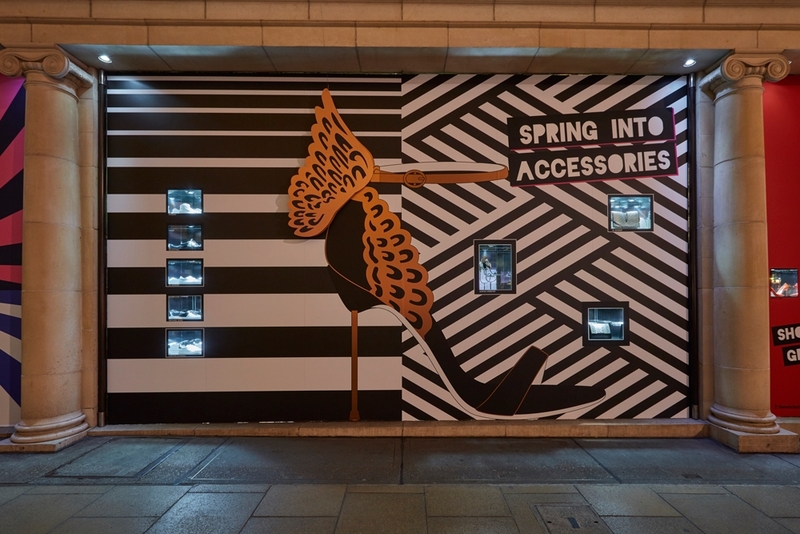 To promote instore accessories, Propability worked with the Fenwick of Bond Street Visual Merchandising team to produce the ‘spring into accessories’ windows to showcase key products. Mirrored boxes on the inside of the windows were created to display the stock in-between cut-out window squares of the vinyl print. 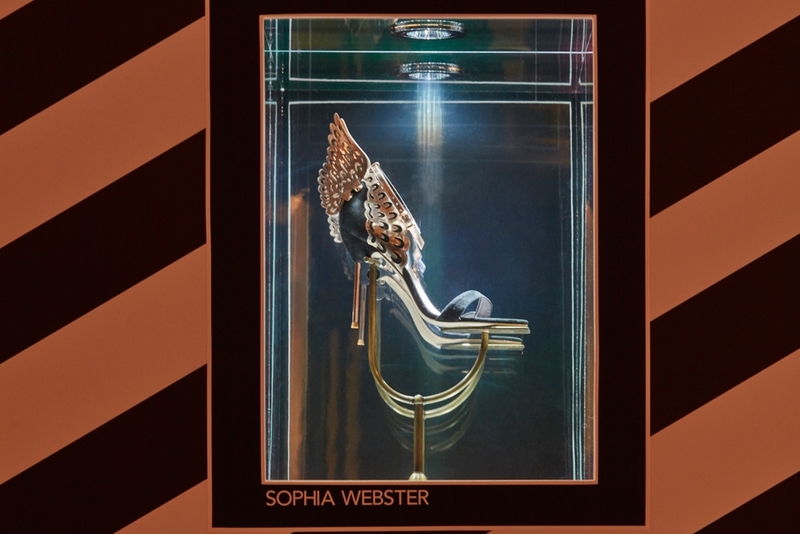 The main feature - Evangeline - a winged shoe by designer Sophia Webster was recreated with the wing of the shoe protruding out of the glass into the street to add an additional wow factor to the façade. 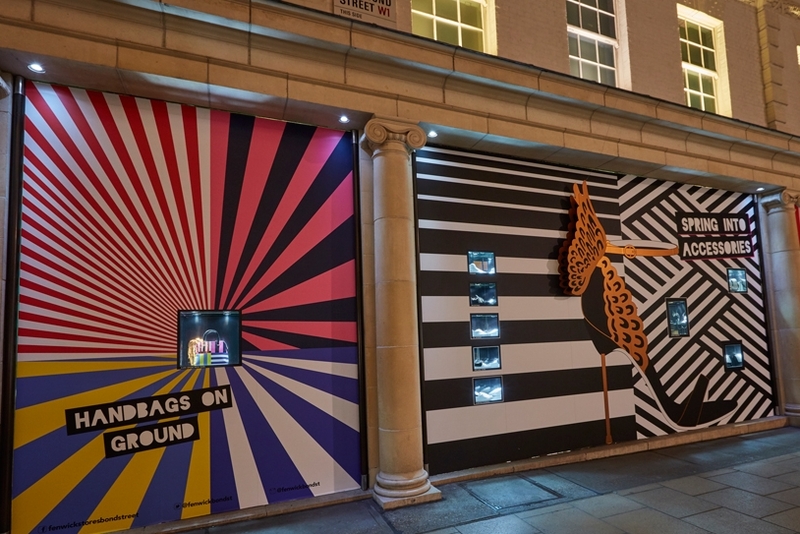 The result was a bold and colourful display with key product shining through cut out sections of elaborately coloured printed vinyl.